The eve of a new year brings hope and the promise of positive expectations to all. There is a chance to believe in dreams again. A hope that the resolutions left unfulfilled last year may finally be achieved in the new one. A reason to celebrate the opportunity for new beginnings. Needless to say, you can do all these things at any time of any day of the year. Yet there is this magical quality about the eve of the upcoming year which just somehow adds to the vivid imagination of humans and conjures up images of hope, fulfillment and promises of dreams finally coming true. I was also excited about the year 2010. It would be the year when I would go back to my beloved Pakistan after successfully completing my higher education from the UK. I was excited about meeting my parents, family and rediscovering my Lahore from the eyes of someone who has been away from home for so long and has learnt to treasure all the quintessential Lahori qualities which otherwise were taken for granted. It was a happy beginning, where I would soon find myself swept into a whirlwind of colorful activities of catching up and rediscovering life in Lahore. Life is unpredictable. That is of course where the magic of life lies. The beauty of randomness, the sudden spurt of spontaneity. Armed with this notion, I somehow forgot that not all surprises in life are good. Some surprises can shake the very foundation of your life. Some can take your breath away. And some can even add a whole new perspective to how you view and value life… your own or that of a loved one. My mother was diagnosed with a rare cancer in the leg in February. What followed was a nightmare of conducting more tests to ensure the cancer hadn’t spread to any other part of the body and to check the stage of the cancer. We were recommended by a family friend who is a highly renowned surgeon to get the malignant tumor removed by the Head Surgeon of a reputed hospital that I will refrain from naming. The operation was conducted in March, and the malignant tumor removed successfully. On further lab results, we were told that the tumor had been wrongly diagnosed and it was in fact benign. We were in awe. It was a miracle. God had listened to our prayers. A miracle was the only explanation we could fathom from the whole experience when so many different test reports, from MRI tests to many biopsy reports had previously all pointed to one thing: malignant tumor. Time heals all wounds. We brought mom home and looked forward to her healing and returning back to normal life. We eagerly waited to see her energetic tiny frame bustling through the house, taking charge of all household affairs to ensure a positive environment for her precious family. And we waited. And waited some more. But something was amiss. The pain would not go. Instead of quickly healing, my mother’s health deteriorated as she stayed awake night after night in severe pain, which the surgeon explained to us was due to the tumor being near the Sciatic nerve and damaging it. Time is always in a hurry and waits for no one. The days swept by as we tried different medicines and tests hoping to ease mom’s pain. It was soon July. We finally decided to change doctors. And what the new doctor told us shook the very ground that we stood on. The mind sometimes refuses to believe what it does not want to hear. But that is only possible if you have the luxury of time to ignore the inevitable. Hectic running around and many more tests later, the doctors suspicions and our worst fear were confirmed. The previous operation had removed the tumor at all, and the tumor was now three times larger in size. But how could such extreme negligence ever be possible? The surgeon was the head of one of the best hospitals in Lahore. This was supposed to happen only in movies or rare circumstances when operations were conducted by inexperienced doctors. This was most certainly not supposed to happen to anyone in my life, and especially not my own mother. I needed explanations but those would have to wait. Right now, it was pertinent that we get the tumor removed and check if it had spread elsewhere in the body. I don’t think there is anything more traumatic than waiting for test results to ensure a possible fatal disease hasn’t spread elsewhere in the body. Yet God is kind. The tumor was still only in the leg. However, to remove it, they would now have to amputate my mother’s leg from the hip joint. A solution which if the previous operation had been conducted successfully, would never have been resorted to. This time we took our mother to Shaukat Khanum Memorial Cancer Hospital to make sure the same mistake wasn’t made twice. We wanted to ensure mom was as comfortable as possible so we went to get her a room. And found out that there were no single rooms in the hospital. All rooms had double beds, separated by curtains to make sure the doctors did not separate the rick from the poor, and everyone received the same treatment and care that as human beings they were entitled to. This was the first time I had heard of a hospital having no single room, and I greatly respect the concept. And I know from first hand experience that though the lady in the second bed in the room was not very well off, the nurses and doctors all showed her the same level of respect and attention that they would give to someone more financially better off. Another thing very unique at Shaukat Khanum Memorial Cancer hospital was the level of discipline maintained. Only one person was to spend the night with the patient to ensure there is peace and quiet. My brothers and I spoke and discussed things at length with the surgeons appointed to operate on mom, Dr. Ahsan Shamim, Dr. Saad and Dr. Abdur Rehman. Unlike the previous experience, the doctors were extremely cooperative, empathic and explained everything in detail to ease our worry. I reiterate, God is kind and the operation was successfully conducted and moms leg along with the tumor removed from her body. My mother was finally cancer free and I owed that to Shaukat Khanum Memorial Cancer Hospital. Everything in life has a meaning with lessons hidden waiting to be uncovered. As this year is about to set, I sit and ponder on the events that defined 2010 for me. And I believe that underneath all the pain and troubles lies a beautiful lesson. I have always been interested in helping out on charities but until one sees from a first hand experience of exactly how desperately our help is actually needed, one cannot fully grasp its importance. I remember as I sat with my mother in the operation theater before her operation, an old lady was sitting with us whose young grand daughter was waiting to undergo chemotherapy. The girl was supposed to be 10 years old but she was could easily be taken for half her age. She was stick thin, completely bald and very weak. Having traveled from a remote village, her grandmother was however happy that at least she was getting treated, since they had previously assumed that due to limited resources, all would be lost. In fact the thing that touched me the most while staying with mom during her treatment at the hospital was how many young children, some hardly able to walk were suffering from such a deadly disease which can totally bring the stronger adults to a point of desperation. I can only salute their courage and that of their families. But wait…is that really all I can do? Is that really all you can do? The beauty of being a human is the power to make change happen. And what better change could a human aspire for than bringing hope to someone’s life. There is still time for us to make 2010 a special year. Personally I would like to do that by trying to bring the miracle of hope in someone’s life who has been affected by cancer. An easy method through which you can also make 2010 a special year for yourself is by beginning to donate through a SMS at least. I am going to copy paste verbatim the following few lines from the Shaukat Khanum Memorial Cancer Hospital Page on Facebook: A life depends on your SMS; Send a blank SMS to the number 7770 to donate Rs. 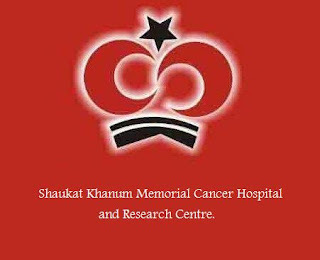 20 (+tax) through any network in Pakistan at anytime to support the treatment of poor cancer patients of Shaukat Khanum Memorial Cancer Hospital & Research Centre. You can save them from this painful strife. 2010 has taught me that life is short and it is important to appreciate and value each moment. To help out our loved ones, make life meaningful and best case scenario to create the miracle of hope in some ones life. And I believe if even one of you reads this, helps out and donates even Rs. 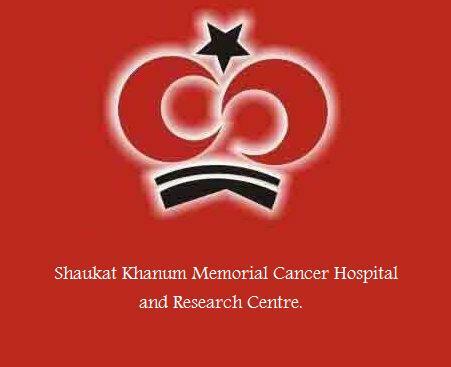 20 to Shaukat Khanum Memorial Cancer Hospital and Research Centre, then my 2010 has been extremely meaningful and fulfilling. After all, it’s not everyday you get a chance to bring a miracle of hope in a life engulfed by the wrath of cancer. is there a way funds could be transfered from another country? By SMS? U write well. In the initial flow, it made me think of my father who left his physical body in Jan 2010, excatly a yr ago, today. I am so sorry to hear about your father. May God bless him with heaven, Ameen. I am sure your donation will go a long way in helping poor cancer patients inshAllah. Thanks for stopping by my blog. God bless.